The most popular type of flooring for areas like kitchens and bathrooms, vinyl or linoleum floors offer many benefits at an affordable prices. 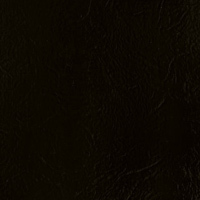 City Flooring has a wide selection of luxury vinyl tile to choose from. We provide luxury vinyl tile for all applications. Our design consultants can help you pick the perfect vinyl flooring for your home or business. 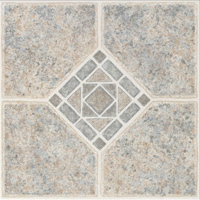 Luxury vinyl tile is one of the most popular flooring options available today, particularly for kitchens and bathrooms. With a wide range of colors, sizes, textures and styles, the design choices are limitless. Vinyl flooring is also resilient, durable and nearly maintenance free. When you install luxury vinyl flooring, you can be certain that you have purchased a beautiful, stylish flooring product that you can enjoy for years to come. When it comes to long-lasting durability, luxury vinyl floors are unmatched. These floors resist stains, water damage and heat. In addition, luxury vinyl tiles have a strong top layer that stands up to gouges, tears and scratches. Vinyl flooring also requires very little maintenance. Unlike wood floors, your vinyl floor will never need to be refinished, and you won’t have to worry about routine sealing that is common among stone and ceramic floors. It’s the incredible durability and low maintenance combined with an affordable price that make luxury vinyl tiles so popular. 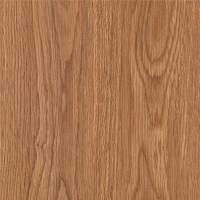 As you shop for your new floor, you will be astounded by the range of available colors, styles and options. You can find nearly any pattern, from the retro linoleum look to ceramic tile, stone and natural wood. 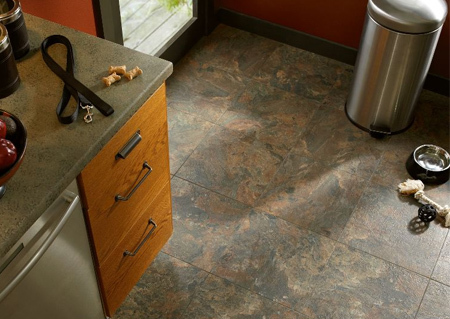 Vinyl flooring in wood and stone patterns are some of our most popular selections. Many of the options available today are virtually indistinguishable from the real thing. Wood-patterned tiles come in a variety of natural colors, many of which feature lifelike wood grain texturing. 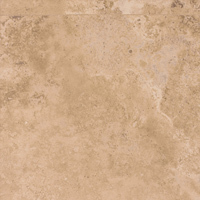 Some vinyl tiles that are made to look like ceramic or stone come with grout lines, complete with a sanded texture for an ultra-realistic appearance. With many shapes and sizes to choose from, you can easily create an artistic floor design to complement your living space.